Striking 3 bedroom home nestled in the woods with clearing for sunlight, open areas and trails. Newly remodeled kitchen with ss appliances. Dramatic full bath with soaking tub off master bedroom. Den/media room separate from open living areas of home. 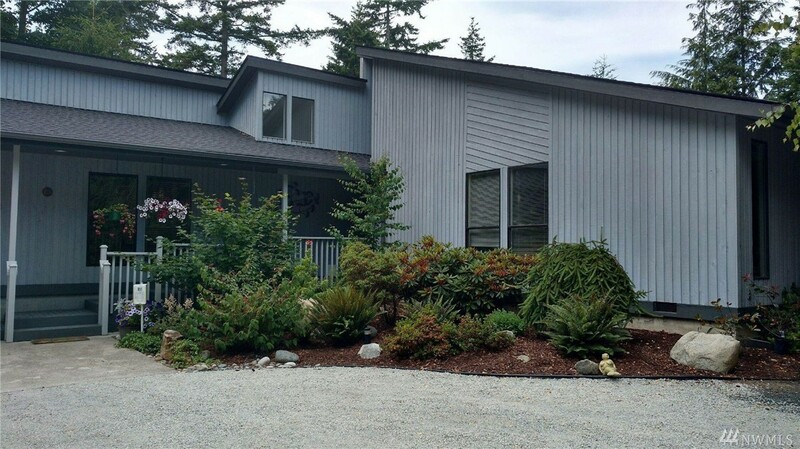 Expansive deck to enjoy that five acres of natural nw landscape. Two single car garages, huge work shop 36x18 with a loft 12x18, extra tall carport 12x36 for rv and or boat storage . Beautiful home and grounds central to stores, parks, beach!